Seaford is well known for its attractive and unspoiled seafront. The beach is enjoyed by visitors all year round but in particular during the warmer weather and summer season. 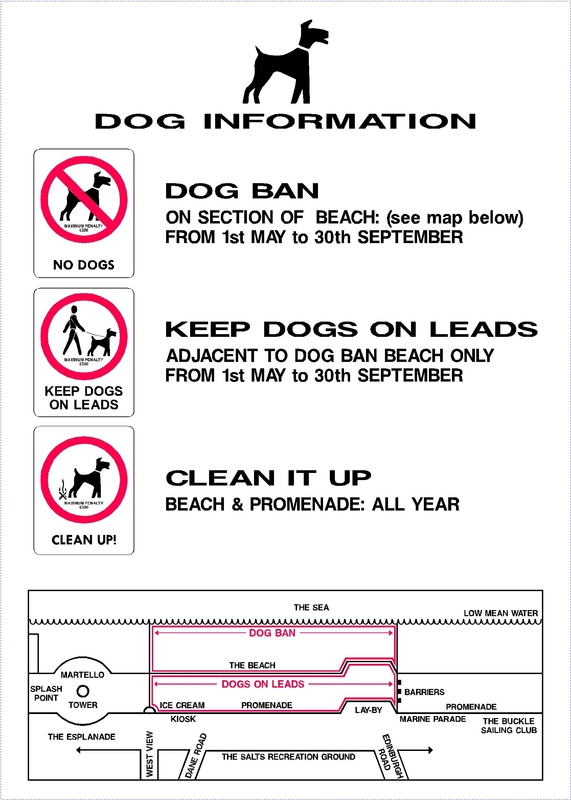 In order to ensure the comfort and ease of all beach users, a dog ban by-law was put in place from 1st May to 30th September on certain parts of the seafront. Seaford Town Council would like to remind all dog walkers visiting the seafront to please take care in observing the dog ban areas, which differ for the promenade and beach itself, and are in effect from the Martello Tower leading west to the start of Bönningstedt Promenade. [A screenshot of a cell phone Description generated with very high confidence] There are signs along the promenade displaying the designated areas either for ‘Dogs on Leads’ or ‘No Dogs allowed’. Dog owners are also reminded to please pick up after your pets; this allows all users to enjoy the beach safely. To report an issue with dog fouling or breaches of the by-law, please inform Lewes District Council’s Neighbourhood First team online at https://www.lewes-eastbourne.gov.uk/environmental-problems/neighbourhood-first/ or report it through the District Council’s ‘Report It’ smartphone app.